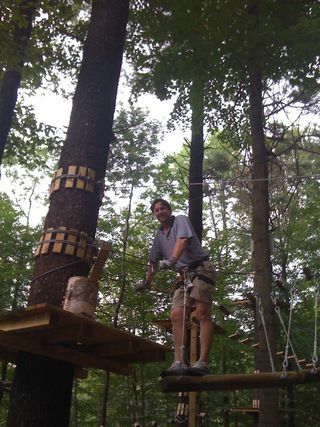 Last weekend we went with our friends, the Bernsteins, to the Catamount Adventure Park.I was expecting a little easy zip lining (and sold it to my friends as such). But no...this is a serious adventure! They have 8 different levels from beginning to expert (think obstacle course in the treetops requiring balance, flexibility and strength). Oh and by the way, I personally challenge you if you think you are an expert (its hard). 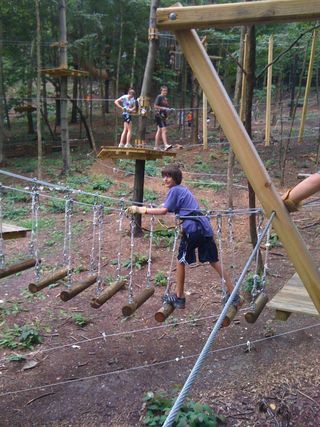 It involves aseries of rope courses going between the trees and you have to complete one level in order to qualify for the next. Ages 8 and up. 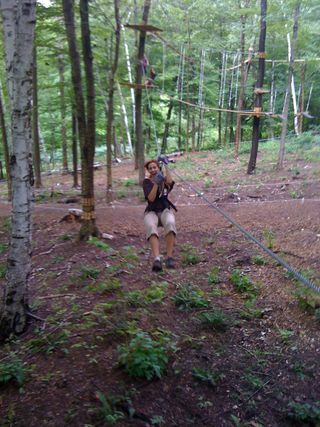 Here I am zipping (this was the only easy part).